No matter where you look, technology is present. Different innovations are making people’s lives easier, regardless if they’re associated with the education, healthcare and business sector. The same is also true for students. Because of technology, they can accomplish more academic requirements in lesser time. Children are also expanding their knowledge through a wide variety of apps and devices. But, technology didn’t only improve everyone’s productivity; it also changed how people entertain themselves – today, more and more people are hooked on gaming PCs. Different paraphernalia is introduced to the public as technology continues to advance. 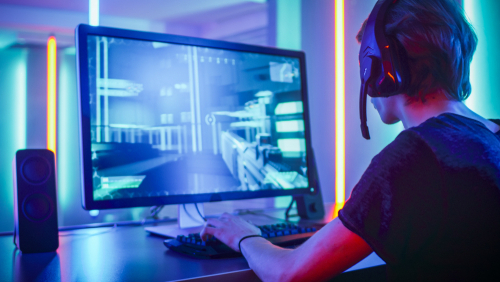 People can choose to play a variety of gaming platforms, but PC gaming is still one of the most popular choices of many. If you’re wondering why, weighing its pros and cons might give you accurate answers. What Are The Pros Of Gaming PCs? 1. You’ll experience optimum gaming speed. Nothing is more stressful than waiting for your character or game to load for minutes. Most gamers don’t have this patience and this waiting period can kill their mood. If you want to experience optimum gaming speed, purchase a gaming PC. Most gaming PCs can speed up to 60 FPS and even go beyond that, depending on the hardware used. If you’re looking for an affordable PC, you can simply make one from affordable parts. 2. You’ll experience superb graphics. In a gamer’s world, graphics is crucial. The quality of the graphics can make or break anyone’s gaming experience. Graphics is one category which gaming PC stands out. When you play using this platform, you’ll have the chance to push the boundaries of graphics display because of the number of options provided for graphics optimization. 3. You’ll pay cheaper video games. Investing in a particular gaming platform doesn’t only involve buying one product; you actually have to buy different games from different sources. If you have a limited budget but still want to belong in the online gaming community, opt to buy a gaming PC because it offers cheap prices for its video games. It’s also very convenient because most video games can be purchased online. What Are The Cons Of Gaming PCs? 1. There are constant hardware upgrades. Technology is fast-paced – and so is gaming PCs. The gaming PC models which provided excellent speed and graphics last year might be different from the trend today. If you’re a gamer by heart, you’ll understand the struggle of wanting to keep up with the times. Because gaming PCs undergo constant hardware upgrades, be ready to shell out a huge amount of money in order to buy the newest gaming paraphernalia. 2. You’ll be forced to upgrade. After reading the first disadvantage of gaming PCs, you might say to yourself, “I don’t have to spend since I always have the option not to undergo these upgrades.” This might be your solution in order to save money while using a gaming PC. This idea might seem inviting, but it doesn’t work in real life. When gaming PCs upgrade, older hardware might not be compatible with the newer ones. For example, a newly-released video game might not work in a gaming PC which is three-years-old. 3. You’ll need to learn the technicalities. A gaming PC has a lot of components. For starters, you need to be aware of how a graphics card functions and where can you possibly buy the best deals. If you don’t have a technical background, learning what goes into a gaming PC might seem like a burden. This is especially true if you’re assembling a gaming PC on your own. Technology might have made everyone’s lives better, but too much of it can also create adverse effects. If you spend too much time on a gaming PC, you’ll end up putting your physical health and relationships at risk. There’s nothing really wrong if you want to invest in a gaming PC – just as long as you’re using it in moderation.